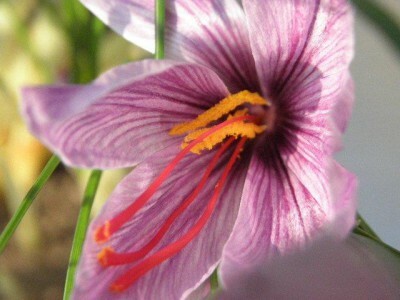 Roco Saffron relies on excellent ties with the best and most reliable Professional Saffron growers in the world. Our strength is that we strictly grow Crocus Sativus bulbs aimed for the professional Saffron industry. Each year Roco Saffron contracts the best supply of Saffron bulbs and we are proud to supply them to Professional Saffron growers all over the world. 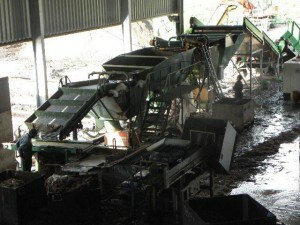 In order to maintain our stock we can offer our crop the best facilities. 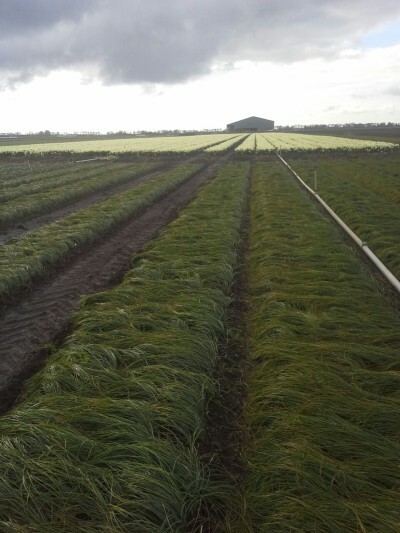 Our crop of Crocus Sativus is checked on an annual basis by the Agricultural department of the Netherlands and we hold the highest quality certificate standard in the industry for many years. Our highest ranked quality certificate of Crocus Sativus enables us to export our Saffron bulbs all over the world without any restrictions. With our growers we have been experimenting on how to increase the flowering yield for the first year on Saffron flowers. Right after harvesting our crop we give our Saffron bulbs a special temperature treatment in our climate controlled cells. This temperature treatment which lasts for a few weeks will enhance the flowering production already in the first year and we see an increased and more vibrant Saffron plant. 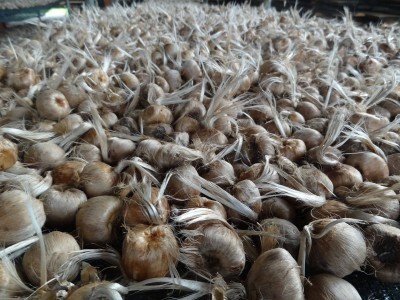 In order to preserve our stock of bulbs we believe in crop retention of Saffron bulbs. Crop retention means we retain a certain amount of larger size bulbs to be replanted. By using crop retention we can ensure a constant and reliable supply of larger bulbs each year and keep our crop of Saffron bulbs intact. Together with our grower we continuously keep investing on the growing techniques of our Saffron bulbs crop. As per below you can see our watering irrigation system. In the Spring time the Saffron Bulbs need to reproduce (Crocus Sativus multiplies by the corm instead of seed) smaller bulbs. Thanks to our watering irrigation systems we can give the Saffron bulbs the extra drink they need to enhance their reproduction capacity. 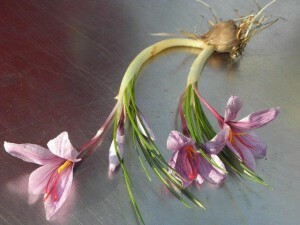 Reproduction capacity of the Saffron bulb is extremely important for future crops to maximize your flowering return. Our stock of Saffron Bulbs is being cleaned by machine and dried in our climate controlled cells with a continuous air ventilation. Drying and keeping the air movement is important for storing Crocus Sativus Bulbs. 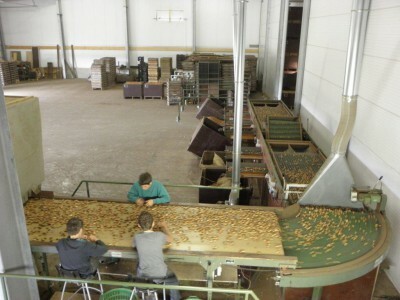 After drying, the Saffron bulbs are being graded, grading the Saffron bulbs is a process of selecting the right bulb size for professional Saffron production. Using the right bulb size of Crocus Sativus is extremely important for professional Saffron production. After Grading the Saffron bulbs we are ready to start counting the Bulbs. After counting we have the Agricultural inspection come into our warehouse to run final checks on healthiness and we can start shipping our Saffron bulbs to our customers worldwide. The right facilities such as storing and drying the bulbs. Temperature treatment of the Saffron bulbs in our climate controlled cells. Our Saffron crop has the highest quality certificate in the industry allowing our Saffron bulbs to be shipped worldwide. 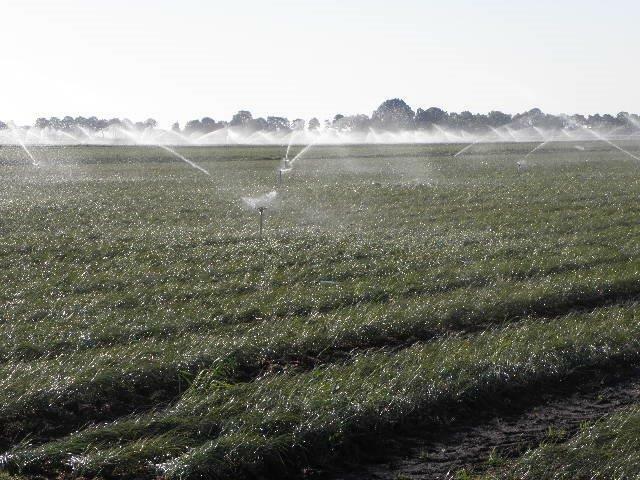 Watering Irrigation systems to enhance the reproduction capacity of the Saffron Bulbs. Continuous investment and experiments to maintain our crop and look for better growing techniques. Crop retention of our highest graded bulbs in order to maintain good supply for the coming years! Our Crop of Saffron has the highest quality certificate authorized by the Dutch Department of Agriculture! Maximize the yield of your Saffron crop by our programmed and pre-treated Saffron Bulbs. 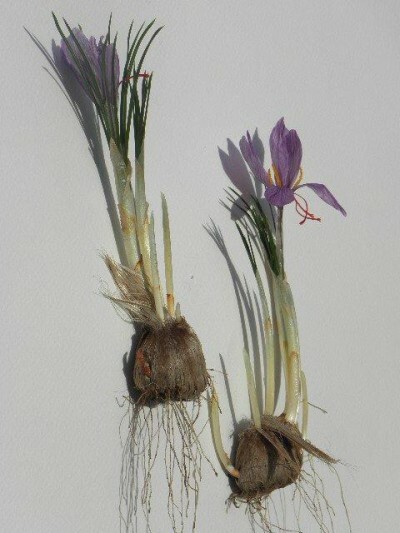 Roco Saffron has years of experience growing and supplying an excellent crop of Crocus Sativus Bulbs worldwide!